If you have trouble standing up out of a chair, a lift chair will benefit you. It may hurt your arms, legs, or back to stand up out of the chair, or it might just make you feel out of breath. 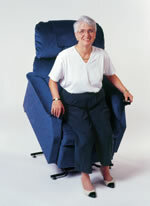 No matter what the issue, a lift chair will eliminate the strain of standing up. 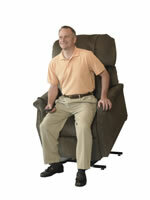 This simple device is a luxury recliner chair with the addition of a motorized lift and recline mechanism. 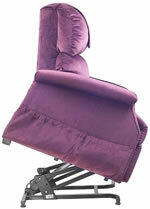 It can do everything that a standard recliner chair can do, as well as lift up. It does all of this with a simple hand control, so you can move the chair from a fully reclined position to a nearly standing position with the push of a button. It becomes much easier to stand up out of the chair.